Contributions made to notified relief funds and charitable institutions qualify for deduction under section 80G. Interim Budget 2019 has proposed rebate under Section 87A on full income tax liability for all those earning up to Rs 5 lakh taxable income for FY2019-20. This is a huge incentive for tax planning for the low and middle income group. All those whose gross total income (GTI) is close to this magical figure can try to claim eligible deductions from their GTIs to reduce it to a taxable income figure of Rs 5 lakh or below. Tax on your income is calculated as follows: First gross total income is calculated by adding income from all sources then all deductions (tax breaks) and other tax-exempted allowances (HRA, LTA etc.) that you can claim are subtracted from this figure. The net result is taxable income. It is this resulting taxable income figure level which will decide whether you can avail the 100% tax rebate given to that earning upto Rs 5 lakh taxable income, as per Budget 2019 proposals. 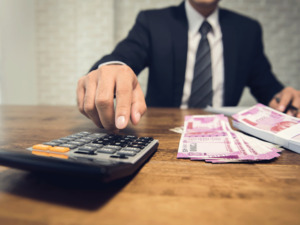 Consequently, if your gross total income is in the range of Rs 6 to say around Rs 11 lakh, then you could try to plan your income and claim deductions from this income so as to reduce it to Rs 5 lakh taxable income. So here are all the deductions available to most individuals (as per current income tax laws) under the Income Tax Act. Apart from the deductions mentioned below, there are certain allowances which can be exempt from tax. Read on to find out about tax exemption limits for allowances and reimbursements. Figure out the deductions whose advantage you can try to take and touch the Rs 5 lakh figure. Section 80C: This section of Income Tax Act allows an individual or a Hindu Undivided Family (HUF) to invest in tax-saving instruments to reduce the taxable income level and thereby reduce the tax liability. You can invest up to Rs 1.5 lakh per year in various instruments listed in this section. Some of the popular specified tax-saving products are Public Provident Fund (PPF), Employees’ Provident Fund, Sukanya Samriddhi Yojana (SSY), National Saving Certificate (NSC), 5 year bank fixed deposits and so on. Apart from investments in specified products, certain expenditures can also help you to save tax. Section 80CCD(1b): One can claim additional deduction of Rs 50,000 by investing it in NPS. This will make the total tax-saving of Rs 2 lakh in a financial year if saving under sections 80C and 80CCD(1b) is combined. Section 80CCD(2): Over and above this Rs 2 lakh ceiling you can also claim deduction on the employer’s contribution made to NPS account. You can claim maximum deduction of 10 per cent of your basic salary plus dearness allowance. There is no monetary restriction on this deduction. Section 80D: Health insurance premium paid by you for your family and for your parents can help you save tax. Premium up to Rs 25,000 paid for yourself, your spouse and dependant children is deductible from your gross total income thereby reducing taxable income and saving tax. Mediclaim policy bought for your parents can help you claim additional deduction of up to Rs 25,000. If your parents are senior citizens i.e. above 60 years, then you can claim deduction up to Rs 50,000 paid as medical insurance premium. Section 80DD: You can claim deduction of expenditure incurred on a dependent who is differently-abled and wholly dependent on you for support and maintenance. Deduction of Rs 75,000 can be claimed if disability is more than 40 percent but less than 80%. If the disability is more than 80 percent the deduction limit will be raised to Rs 1,25,000. Remember you cannot claim this deduction if dependent has claimed deduction under Section 80U. Section 80DDB: Expenditure incurred on yourself or dependents for medical treatment of certain diseases is allowed as deduction from gross total income. The diseases are specified in Rule 11DD of the Income Tax Act. Some of the diseases are Parkinson’s Disease,Chronic Renal failure and so on. You can avail the tax benefit on actual basis for maximum up to Rs 40,000 per year. If you or dependent is a senior citizen, then the benefit is lower of actual expense or Rs 1 lakh. To avail this benefit a medical certificate from a competent medical practitioner is required. Section 80E: Interest paid on education loan is eligible for a deduction under Section 80E of the Income Tax Act. Interest paid on your education loan is deductible from your gross taxable income while calculating taxable income. Only interest paid on the education loan taken for self, spouse or children is eligible for deduction. The deduction can be claimed from the year the repayment starts and not from the year you took the loan. The deduction can be availed for maximum of 8 years or till the interest is paid, whichever is earlier. d) On the date of sanction of loan, individual should not own any other residential house. Section 80G: Contributions made to notified relief funds and charitable institutions qualify for deduction under section 80G. This section offers deductions up to 50% or 100% of the donation subject to the limits stated in the Income Tax Act. To avail the deduction, you should have receipt containing name, address, PAN, registration number of the trust along name of the donor, amount donated. Donations can be made in cash or via banking channels. But cash donations exceeding Rs 2,000 do not qualify for tax deduction. c) If you own the house in other city, then it should not be assessed as ‘self-occupied’ property. Total income refers to income adjusted by reducing long-term capital gains, short-term capital gains as mentioned in section 111A, deductions under section 80C to 80U except for 80GG. 80C Maximum Rs 1.5 lakh (aggregate of 80C, 80CCC and 80CCD (1)) PPF, EPF, Bank FD’s, NSC, Insurance Premium, Tuition Fees, etc. Section 80U: An individual gets deduction under section 80U if he is suffering from any of the specified diseases such as blindness, hearing impairment and so on. The amount of deduction is same as mentioned above in Section 80DD. Section 80TTA: Deduction up to Rs 10,000 is available to individuals (below 60 years) and HUF on the interest earned from savings account held with bank and post office. Section 80TTB: For senior citizen taxpayers, deduction up to Rs 50,000 is available on the interest earned from bank and post office deposits. This includes interest earned from savings account, fixed deposits, recurring deposits and post office scheme deposits. How much tax can you save via tax saving investments, expenditures?